Canoodling with this precious pup! Bashful Poodle Pup is the best groomed doggy in town! 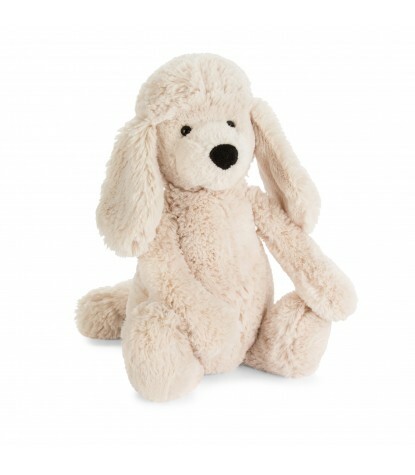 He's deliciously snuggle-worthy in his creamy oatmeal fur, with a sweetly trimmed snout and big squashy nose. 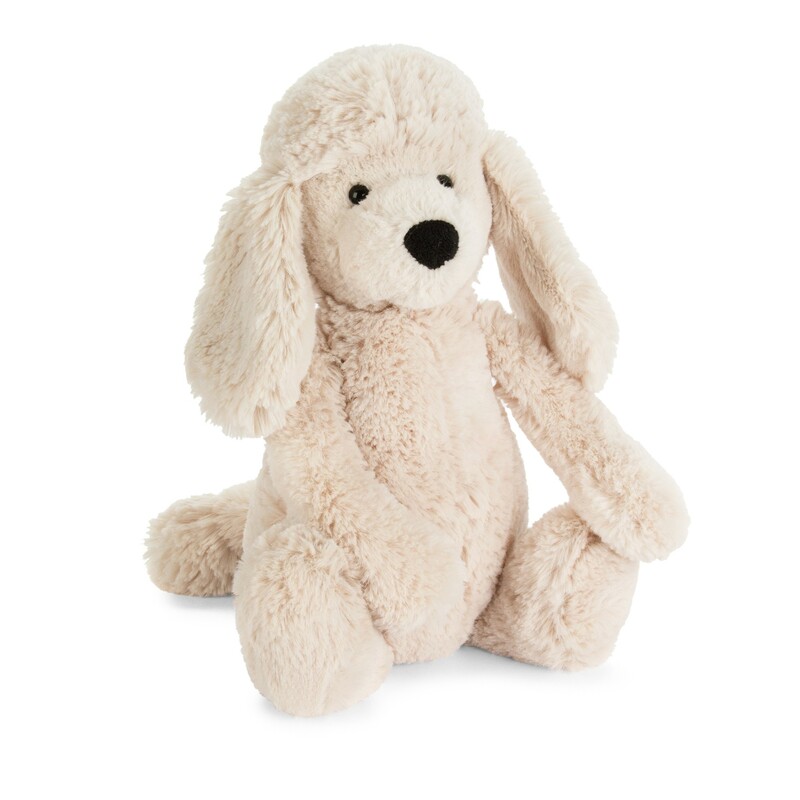 This Jellycat pup sits up well on his beany bottom, and reaches out to you with his long, huggable biscuit arms. 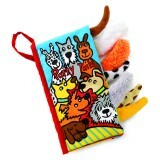 He's got plenty of time for you to stroke and squish those big soft feet, bobbly tail and floppy ears!